Fixed bracket castors - These castors only travel in one direction, so are not suitable for turning. Swivel bracket castors - These castors can turn 360 degrees on the bearing. 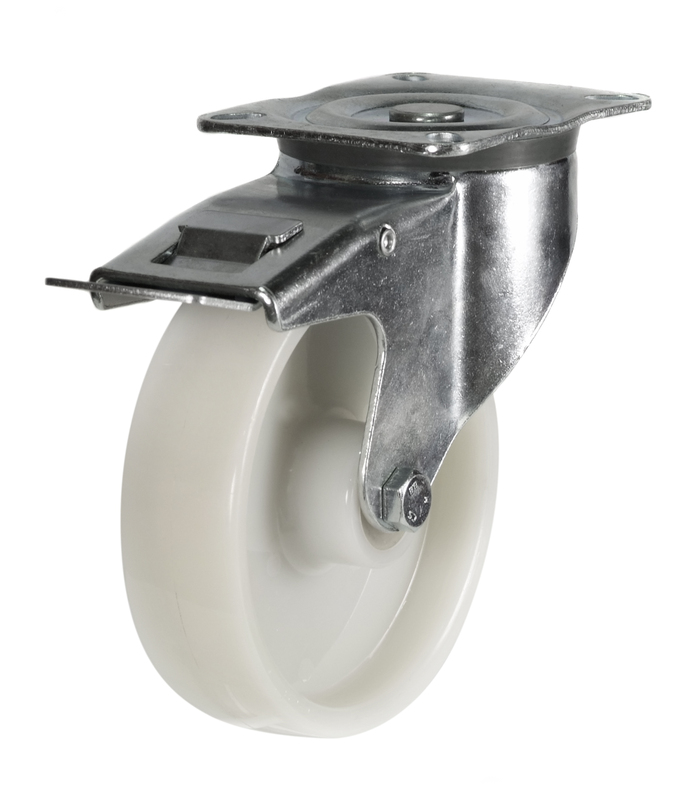 Braked swivel bracket castors - These are identical to swivel castors with the added benefits of having a brake to hold your object stationary.